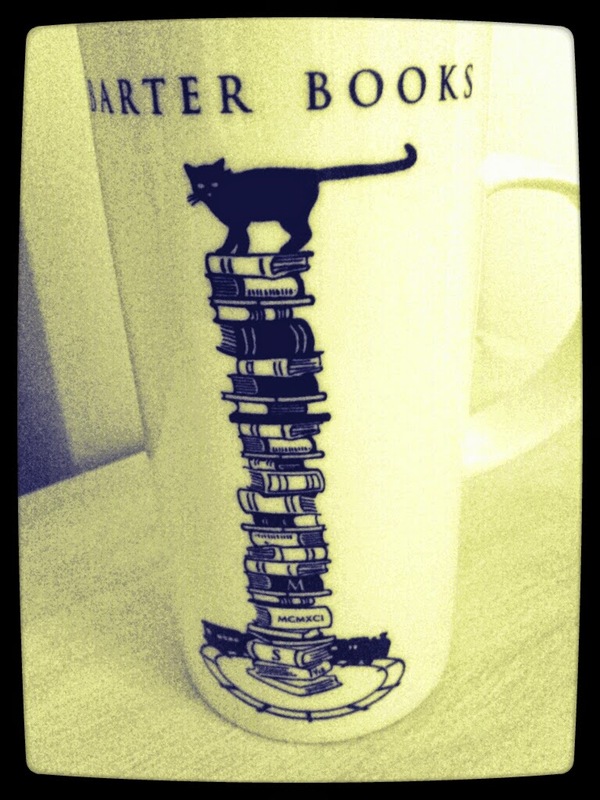 A black cat around the world: Barter Books: keep calm, black cats love reading!! 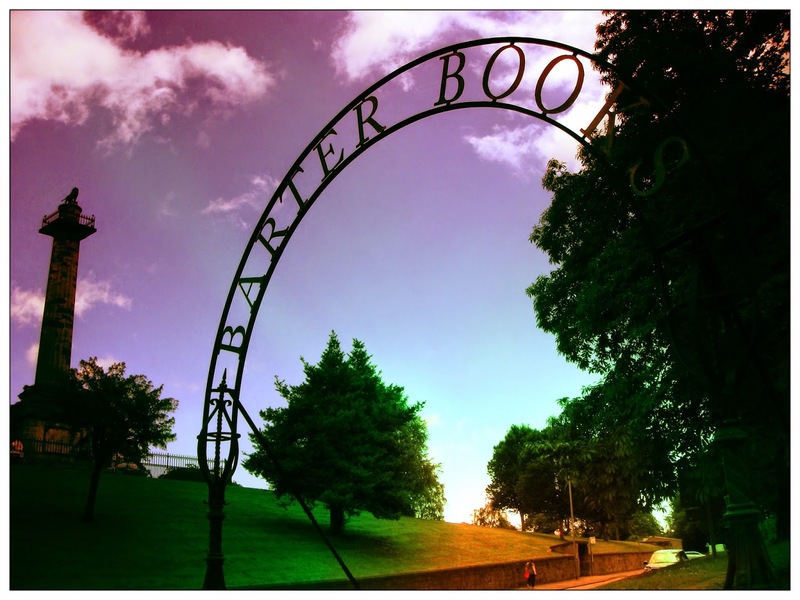 Barter Books: keep calm, black cats love reading!! Everyone has his own personal definition of Paradise, according to his biggest passions. Who love books often daydreams to get closed like forever in some labyrinthic libraries, where you don't even understand if walls exist or if they are made of bookshelves, where there are very high piles of books, where you can find all the stories you've always had in your to-read list, and then many others, unknown until that moment, but ready to be loved as soon as you will dive into their pages. 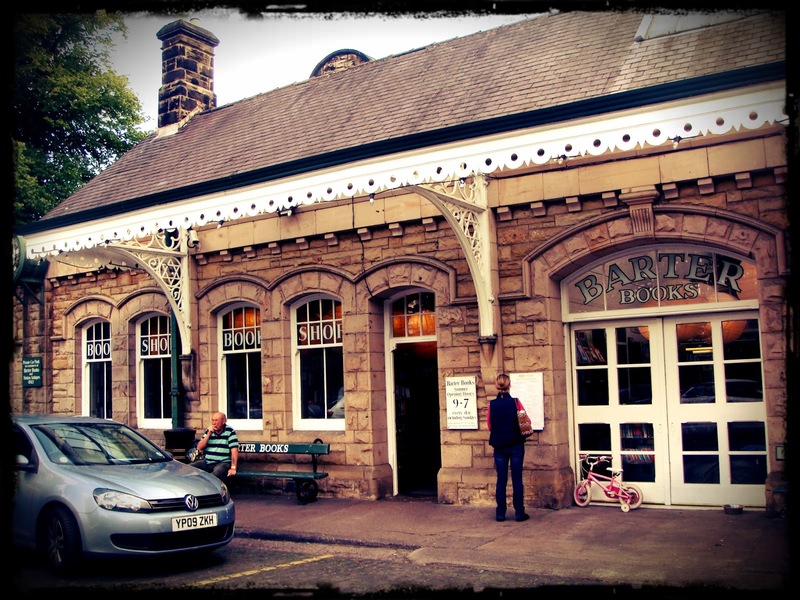 Who love books, England and finds himself at ease among a touch of vintage, should visit Barter Books in Alnwick, Northumberland. 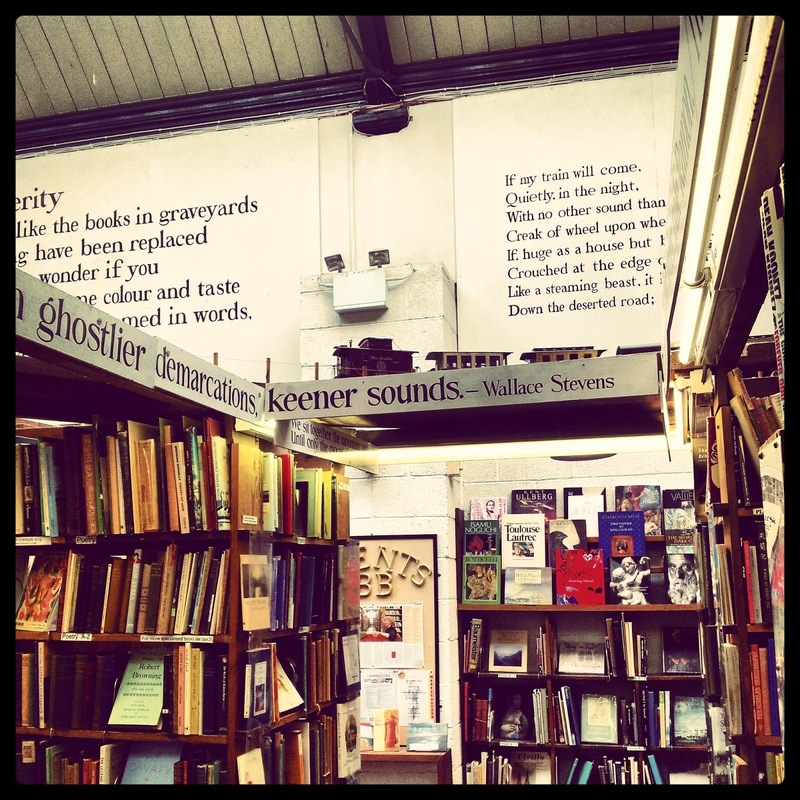 Barter Books is one of the biggest second hand bookstores in England and it squeezes its many volumes inside an old railway station, dismissed in 1968. After all reading is a way to travel, and, as for me, I can say that trains are one of the locations I prefer to set my readings (if it wasn't that lately I prefer using travels by train to write, but well - they are two sides of the same coin, anyway) - so I'd say that the mix of books and trains is a good one. 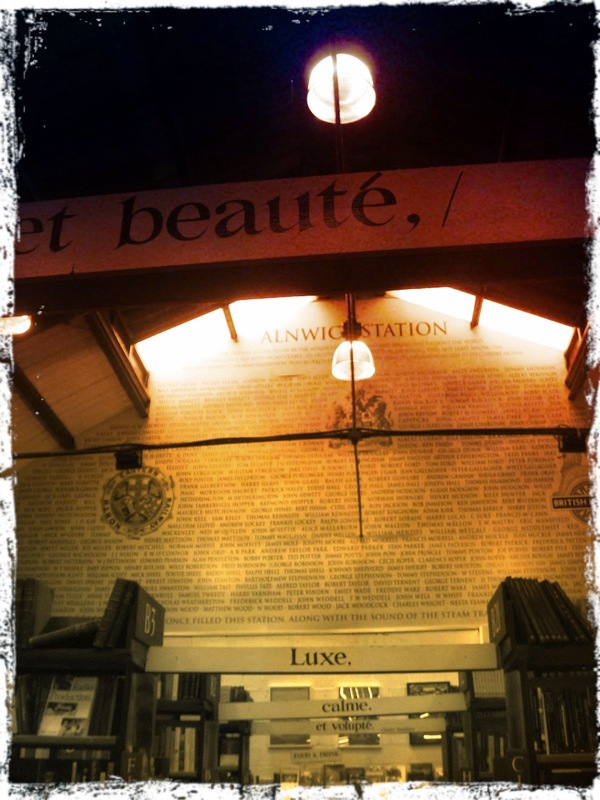 In order to remind its past as railway station, there is the waiting room which has been transformed into a cafè, but it still keeps the furnishing and the vintage allure of an era which looks definitely older than the one when the station has been closed down: you can feel something recalling steam trains, porters with their uniforms carrying the luggage to the ladies, with gloves and crinoline that confer to the journey the atmospheare of a real event, of something much longer and more important of what it might be nowadays, when we are all used to commute for work and to make day-trips during the weekend. On the top of the bookshelves runs a miniature railway: a small electric train which unendlessly flashes among Virginia Woolf and Ken Follett, among Oscar Wilde and the gardening manuals - as if to witness that reading is the most free of the journeys, without any bonds and potentially with the most creative and variegate itinerary ever, in order to mirror all the infinite facets of tastes and interests of the one who takes it. Eyes keep on staring up, going further the train and admiring the murals decoring the walls, with phrases taken from famous works and the portraits of some famous writers, ideally united all together, in spite of the differences of time, nationality and ideology that might separate them - exactly like their books are all put together in the shelves. A cup of tea almost feels like a must in such a place: books call tea, call a comfy couch, a warm blanket and a cat purring. The cat is me and I actually can't help purring of pleasure in such a lovely place. We don't have a couch and blanket, but the café set in the old waiting room is anyway very comfy and cosy. The home specials are the Barter bitts, chocolate and ginger cookies, which match very well the warm tea, the piles of books surrounding us and the day a bit gloomy outside. 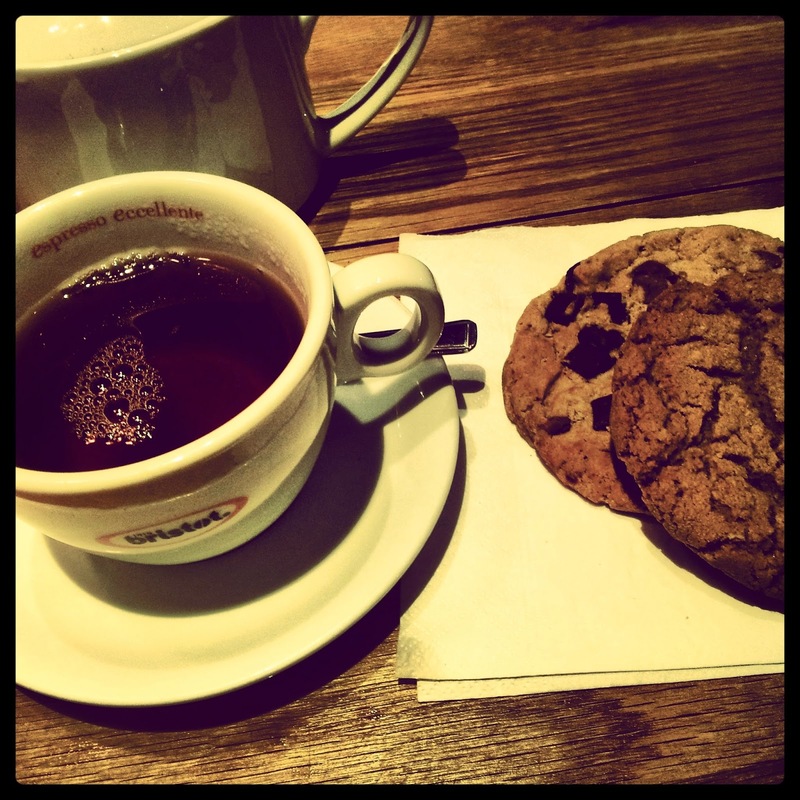 Besides the café there is also a small corner in another side of the bookstore, with self-service tea and coffee, cookies and cake. 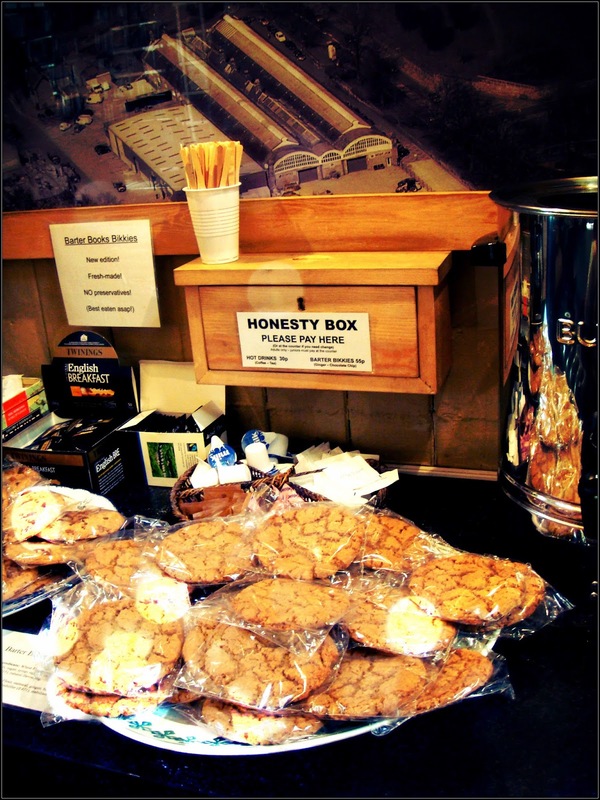 On the table there is a wooden box called "Honesty Box" where you can pay what you take. Being Italian, I always smile admired for this kind of things. 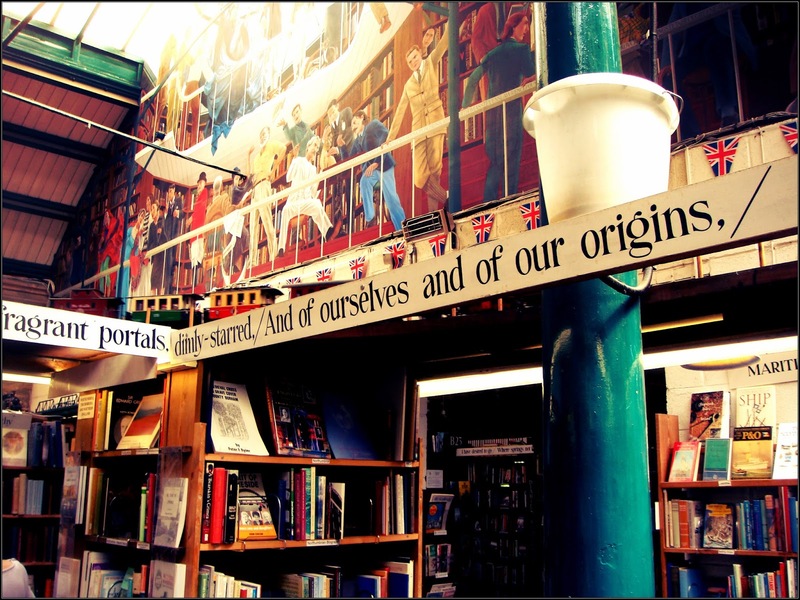 But Barter Books is not only famous for its infinite bookshelves and for its cosy and nice location. In 2000 its owner found an old "Keep calm and carry on" poster, original from year 1939. 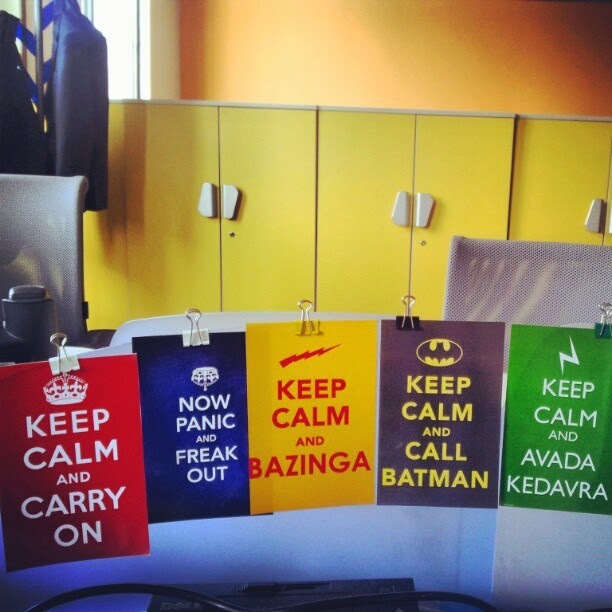 Nowadays the "Keep calm and carry on" is a trendy slogan, declined in any possible way that nerds and hipsters could ever conceive - and, I must admit it, it's also my office's mantra, in coherence with my very personal geek passions (but don't worry, I've always just practiced the classical version, by carrying on: I've never casted any unforgivable curses on anybody, and, even if I've tried to call him, Batman has actually never answered me). But when it was born, during WWII, the "Keep calm" stuff didn't really have an ironical meaning: it was an encouragement to the popolation during a very hard and dangerous moment, an incitement to hold on, to try to stay strong in spite of everything, because sooner or later the efforts would have been rewarded and the war would have ended, with a victory. But the sacrifices of which the "Keep calm" talks about are literally human sacrifices: they are heaps of rubbles, bombing, fear, hunger. They are families destroyed and young lives sent to die. Maybe, if we consider it, the way we used it nowadays is kinda too much desecrating. Maybe, for those who have seen the "real" "Keep calm" posters and lived the war, it must be a bit like, for people who is religious, seeing the cross being transformed into a fancy bijou. 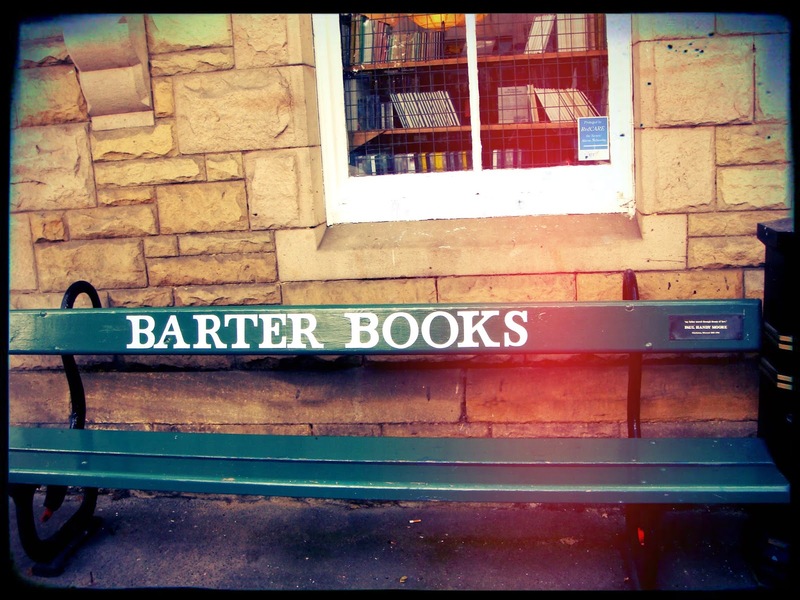 Anyway, desecrating or not, the credit for having transformed an old war poster into one of the most popular and used logos of the latest years goes to Barter Books. 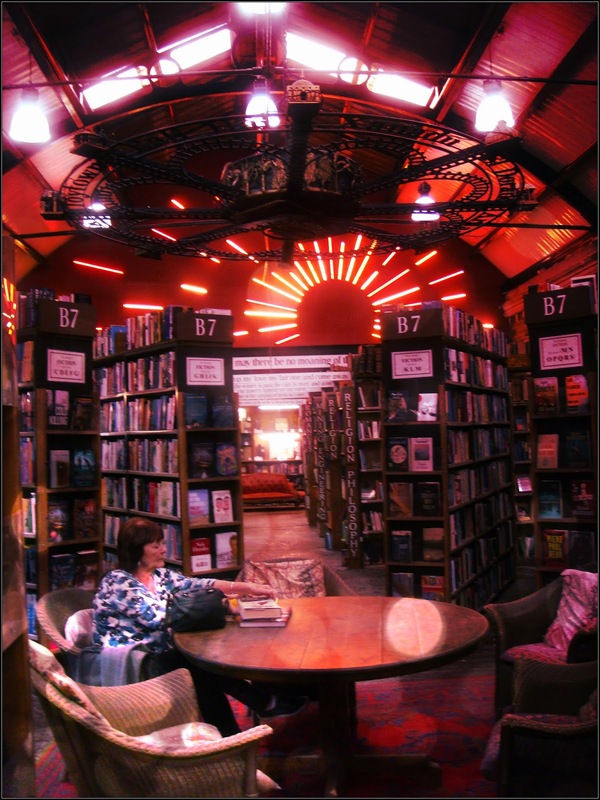 Being here, I'd say I'd love to dedicate myself to a "Keep calm and read books". And also their logo is with me: besides the "Keep calm" merchandising there is also the official one of the bookstore, which has a black cat perched on a very tall pile of books. This is another thing that goes very well with books: black cats.